Crafty Texas Girls: Announcing a fun Crafting Party this Sunday! Hi Friends! 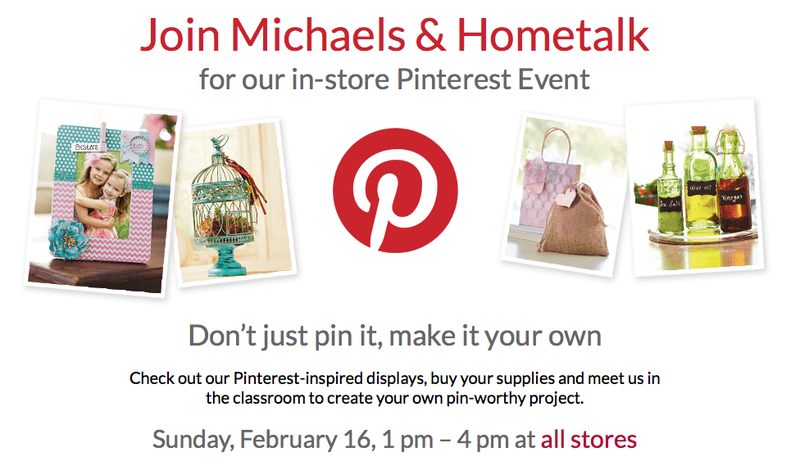 I am thrilled to be partnering with Michael's, Hometalk and Pinterest for a very special "Pinner Event". 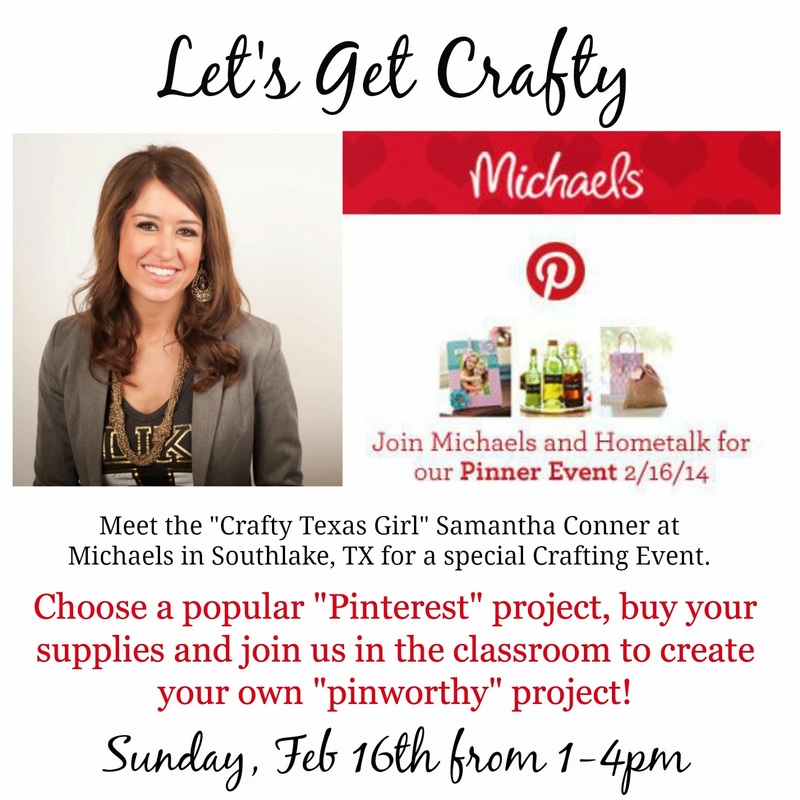 I have been invited to bring my crafty skills to the Michaels store in Southlake, TX THIS SUNDAY from 1-4pm. Come into the Southlake, TX store on Feb. 16th between 1 and 4pm and we can craft together! Choose from tons of popular Pinterest projects, buy your supplies and meet us in the classroom to create your own "Pinworthy" project. If you are not local, no worries. The Pinterest Event is taking place at all stores! Check this link for more information and to find a store near you. Select stores will be featuring a Hometalk Blogger like me! It will be a fun afternoon--let's finally make some of those projects we have all been pinning. What can you expect to make when you come? Michaels is full of inspiring home decor project ideas-- the fun part is picking which one to try first. And since I will be there, we can work together to make your idea come to life. Be sure to check out my favorite Michaels coupons here to save on great craft supplies for the party. 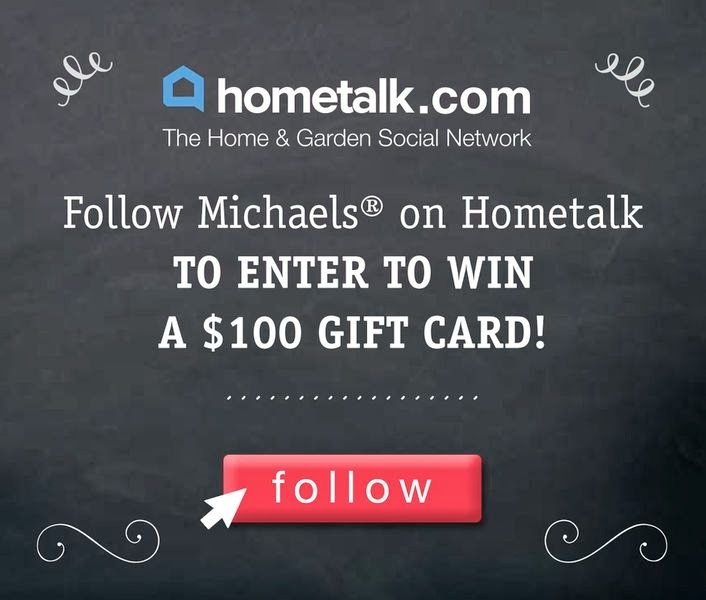 Finally, follow Michaels on Hometalk for a chance to win a $100 gift card. Five winners will be announced after the party on the Hometalk Facebook page. 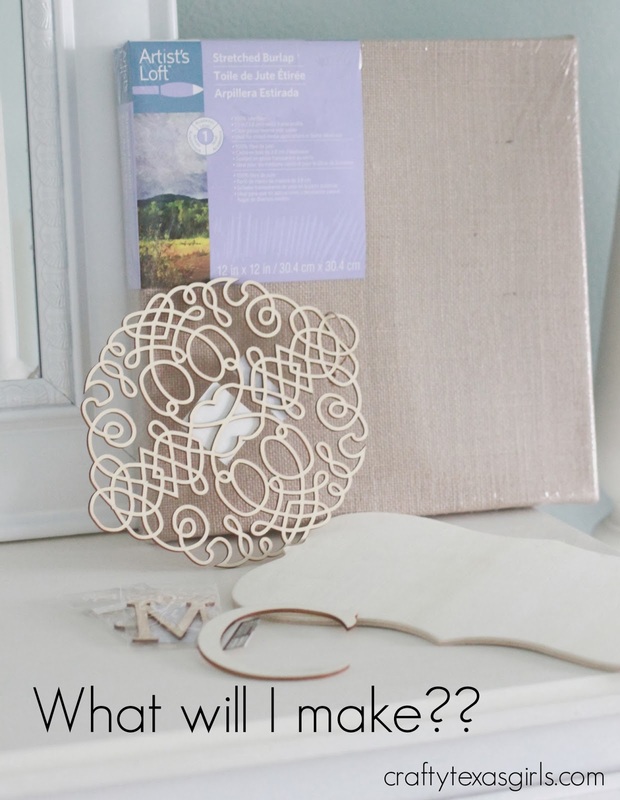 On my most recent trip to Michaels, I found this great burlap canvas and these wooden cut-outs. Come back to my blog later and I will show you what I made with them!